Enter Shikari have released a video for their new track Rabble Rouser. It’s the latest material taken from the band’s upcoming album The Spark, which arrives on September 22 via Play It Again Sam/Ambush Reality. They previously launched a promo for Live Outside. 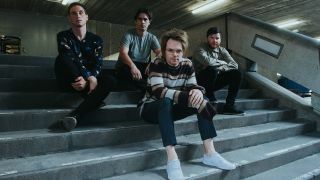 Frontman Rou Reynolds says: “I see Rabble Rouser as putting music to my job description – bringing people together and getting them rowdy and energised. The Spark is now available for pre-order and Enter Shikari will head out on the road again across the UK and Europe throughout November and December.